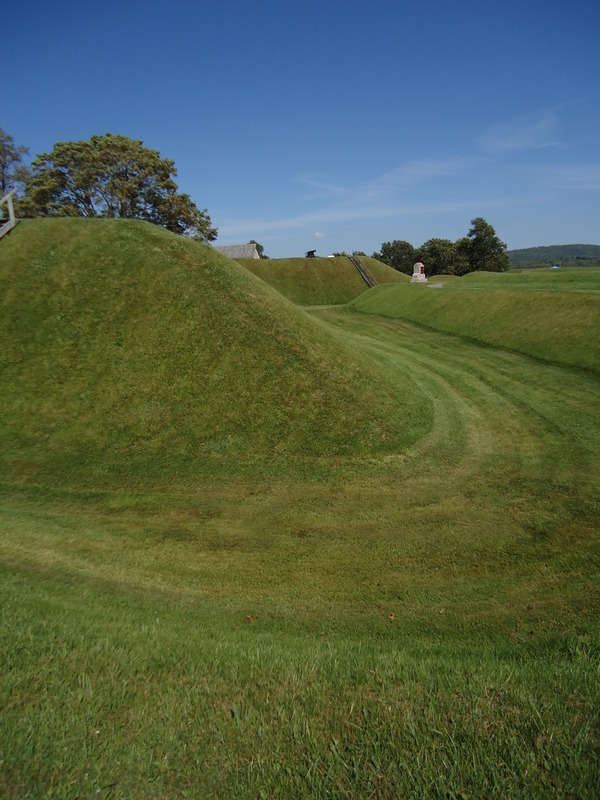 Located in Annapolis Royal, Fort Anne, formerly known as Fort Charles, is built in 1629. Characterized by several changes in governance – French, English and Scottish - the Fort represents an important part in the history of Canada’s colonization by Europeans. It also demonstrates the Acadians’ neutrality, as they did not take part in French attacks and also refused to cede their neutrality to the English. A National Historic Site since 1917, Fort Anne is the oldest site to have been awarded this recognition. Visit the museum located in the officers’ quarters, view the exhibits depicting centuries of battles, study one of the only original copies of the 1621 Nova Scotia Charter, discover historical artifacts and roam the garrison cemetery, etc. And don’t forget to take in the incredible view of the Annapolis Bassin and the Annapolis River, formely know as Dauphin River! Come stroll the area surrounding the Fort, modelled on the Vauban style of fortification and enjoy an unmatched scenic view! Take advantage of your time here to experience the historic district of Annapolis Royal. With its commercial, military and residential heritage, the historic heart of the district is considered the oldest and continuously inhabited permanent settlement in Canada. As of 1605 and years immediately following, French settlers clear the land surrounding Port-Royal’s Habitation, as well as the current Annapolis Royal site, where seeds and vegetables are planted. The territory is granted in 1621 to Sir William Alexander, a Scottish nobleman, by King Jacques I of England, also known as Jacques VI of Scotland. The subsidies to establish a colony will not be granted until eight years later. From 1629 to 1632, Sir William Alexander’s son leads a group of 70 men and women several kilometers upstream from the ancient Port-Royal Habitation. He erects Fort Charles, named in honour of King Charles Stuart the First. The objective is to establish the Nova Scotia territory discussed eight years previously through the creation of a Charter. In 1632, Acadia is restored by the Treaty of Saint-Germain-en-Laye. Acadian settlers locate in 1636 in the area, led by Menou d’Aulnay, establishing the site as the headquarters of Port-Royal. The first fortifications are constructed with earthworks in 1643. 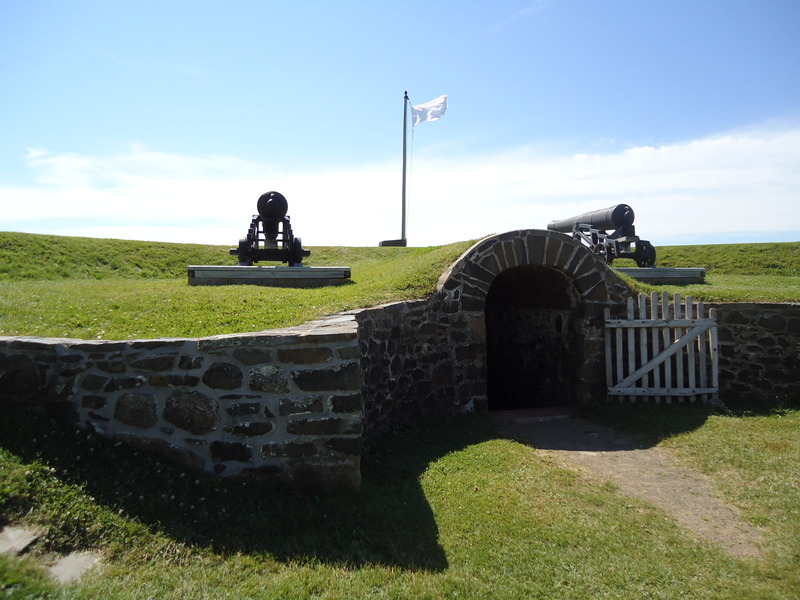 The fort is the center of Port-Royal’s defence, which becomes Acadia’s new capital. From 1654 to 1697, ownership of the site constantly changes hands between the French and the English. In 1702, the French reconstruct the fort with earthen walls and four bastions. Based on Vauban-style earthwork, it remains intact to this day. In the Fall of 1710, British Army troops led by Francis Nicholson take control of the fort after a week’s siege. The French garrison is unable to defend against a force of 35 vessels and 2,000 soldiers of the British Navy. On October 16, Governor Daniel d’Auger de Subercase surrenders. The fort and a five kilometer zone surrounding the village falls into the hands of the British. The site is renamed Annapolis Royal and Fort Charles becomes Fort Anne, in honor of Queen Anne, the reigning monarch of the time. The fort is formally taken over by the English following the signing of the Treaty of Utrecht in 1713. In 1724, the Mi'kmaq and Maliseet launch an attack against the fort, now occupied by the British. In 1726, the Aboriginal Chiefs meet at the fort to ratify a peace treaty. In 1744, the French undertake the first attack to retake the fort. The attack is led by Captain François du Pont of Louisbourg. French soldiers and Aboriginal combatants attack the fort during the night for nearly a month, before abandoning with the arrival of reinforcements from New England. Between 1745 and 1746, the French launch two further attacks. The British military authorities who occupy the fort continue to exercise power over the Mi’kmaq and Acadian people in addition to the small British population of Nova Scotia until 1749, when Halifax officially becomes the new capital. Military conflict between the British and French troops resumes again in the 1750s, this time with historically tragic consequences for the Acadians. Between 1790 and 1796, the fort regains slightly more significance in management of the territory, with the addition of officers’ quarters.